Check our calendar weekly for updates to classes, studio hours and event. A Summer of Fun of Art and Design! We've expanded our summer programming this year, with two brand new programs for Middle and High School age students. From studio arts and crafts to real-world design challenges it's going to be a fun summer in the studio! Space is limited so we encourage registering soon. It's going to be a super fun summer! We've got brand new classes and a studio space of their own for Middle School students. Week long programs designed just for this age group including Books and Zines, Architecture, Fashion Design, Portraits and more... a special focus on observation drawing, with fun individual and group projects and real world design challenges! 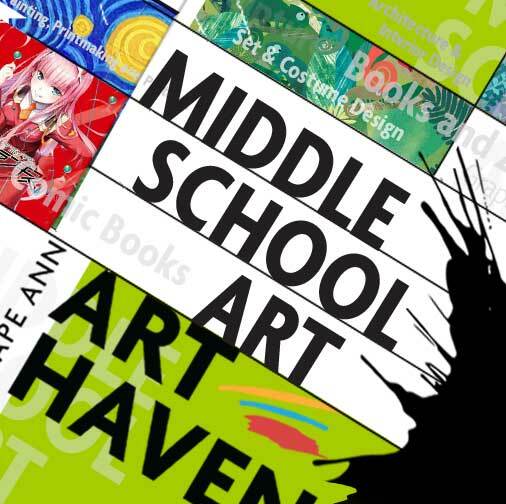 We are bringing all the same college-level prep with real-world art and design instruction offered by the pre-college programs at large art schools—right here to Cape Ann at a fraction of the cost, and with a schedule that allows teens to attend while working and being involved in their other summer activities. A Spring Art Exhibit, Mother's Day's Portraits and a super fun day with Backyard Growers's at their Growfest...what can we say? Summer weather seems to be here (fingers crossed!) and the fun is just starting! For updates on social media, including more photos, follow us on Facebook and Instagram.